Homeschool electives are homeschool high school courses the help supplement core subjects or are geared to your child's interest. Use the highschool homeschooling years to teach your teen life skills. Elective choices should reflect to some degree your child’s future plans. Think of electives as courses that supplement the core courses. Some electives are required, and most are not. Required electives include foreign language, physical education, health, computer classes, home economics, typing, and some art and music. Obviously, the most important classes are the core subjects that are needed to graduate. Just choose 2-3 homeschool electives at the most to complement your homeschool high school. These are just a few of the many ideas for elective "classes" to enrich a homeschooling high school student's life and education. Electives can be given to help your child for his future...for example, my son loves desktop publishing, graphic designing. So he volunteers at church to create power point for the Sunday school classes. This counts as hours for his school, which we count for office electives. If your child already knows what he wants to do beyond highschool, consider an internship or apprenticeship. For example, my son enjoys graphic arts on the computer. He will be serving at a summer camp this summer as an intern in the graphic designing office. What a perfect opporunity to learn about what he loves! Nursing- Volunteering at a local hospital for several hours during the week. Secretarial skills- You may want to volunteer to help in a local church or business. Computers- Let them volunteer their computer skills at a local church or public library. Politics and social science- Participate in local political campaigns or be a poll worker. Science - Volunteer at your local science museum or college science department. Writing - Encourage them to keep journals. You can also find a local writing club for them to join where their fiction works or poems can be critiqued. Music - Make sure they have access to music lessons, orchestras,and good music. The beauty of homeschool electives is that a student can discover that learning can be fun! Find resources around your community that can help you supplement your school. Community organizations- orchestras, bands, 4-H, debate or speech clubs, or other special interest clubs. Local colleges and community centers- Many offer classes for highschool students where they can take college courses and have the credits applied to both a high school diploma and toward a future college degree. One great thing about getting credits this way: the courses are free to state residents; you pay only for textbooks. 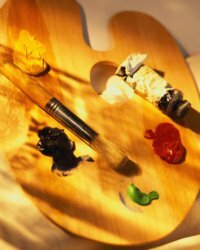 Art stores- Some offer special programs and classes. 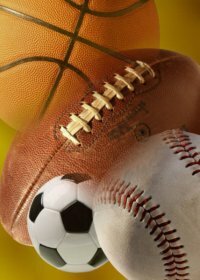 Libraries- Some local libraries are offering free online classes through UniversalClass, an accredited, online learning site. If you have a library card, you can sign up for up to five courses, with offerings ranging from accounting and bookkeeping to web development and writing poetry. Although the courses are non-credit, each one has an instructor that can be contacted via e-mail. Local Homeschool Groups- can pool resources and have classes for groups of students with the same interestsOther parents that are willing to teach classes such as sewing, knitting, woodworking, or auto mechanics. Tutor- You can hire a tutor for your teen. Simply contact your local community college and ask to speak with someone regarding tutoring. For instance, if your child is struggling with math, contact a secretary or professor in the math department. Homeschool electives do not have to be difficult...As Home School Legal Defense Association writes, "You are limited only by your creativity." You know the time is coming when your homeschooled teen will need a transcript. 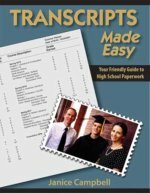 "Transcripts Made Easy: The Homeschooler's Guide to High School Paperwork" is written for you! It's all you need to know about home school transcripts, high school diplomas, and simple record-keeping.